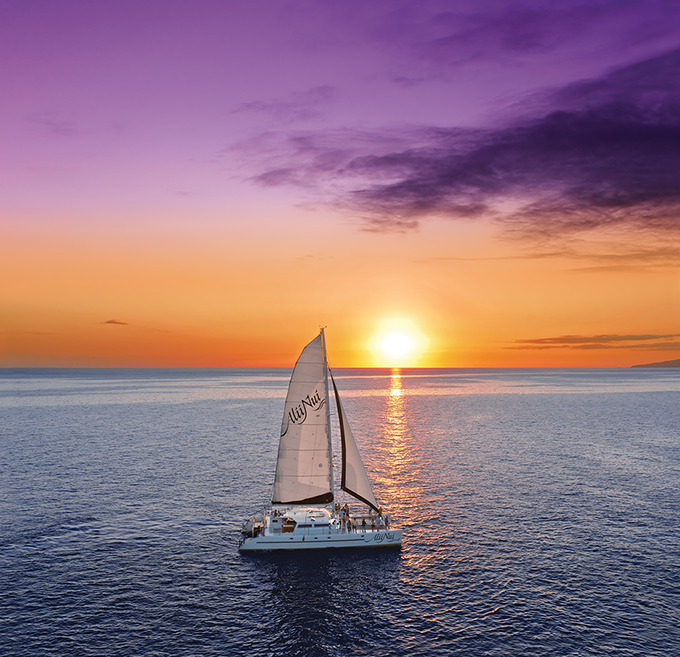 In addition to the Alii Nui’s Royal Feast Dinner Sail Maui’s finest sailing catamaran also offers a deluxe Sunset Sail featuring an array of appetizers including Giant Tiger Prawns, Cajun Seared ‘Ahi Sashimi and Kiawe Smoked Baby Back Ribs. A full, open premium bar is also included. Evening excursions for adults only. For a wonderful family-friendly experience, book a trip on one of their deluxe morning snorkels (five and six hour options available), afternoon snorkels or whale watching tours. Complimentary transportation is included on all activities.